PNC Financial Services Group Inc. (NYSE: PNC) is joining the cryptocurrency revolution. 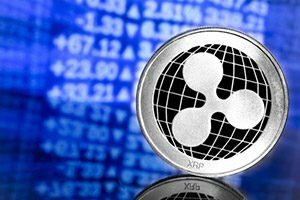 The bank’s Treasury Management division will soon start accepting cross-border transactions using Ripple’s product, xCurrent, according to CoinDesk.com. Trading platform OKCoin will list five new cryptocurrency coins for trading, according to VentureBeat.com. In a move to offer more diversity, OKCoin will list XRP, Cardano (ADA), Stellar, Zcash (ZEC) and 0x (ZRX). Even though Asian officials have a complicated relationship with cryptocurrencies, the demand for Bitcoin is still huge overseas. According to Don Wilson, the founder of high-speed trading firm DRW, the trading of Bitcoin derivatives during Asian business hours is almost equal to the volume he has seen traded in the United States. Finally, the U.S. Securities and Exchange Commission (SEC) commissioner, Hester Peirce, offered some support for the crypto market. She said that the government should not limit the emergence of new products because of perceived “weaknesses” associated with Bitcoin. We’d venture to say not one in 10,000 people is aware of the massive profit potential unfolding right now.